But that’s not all! As an added incentive to purchase multiple stickers, each comes packed with pull-off ticket that can be collected to enter a special lottery to win a new Keshigomu-style figure from Cure! 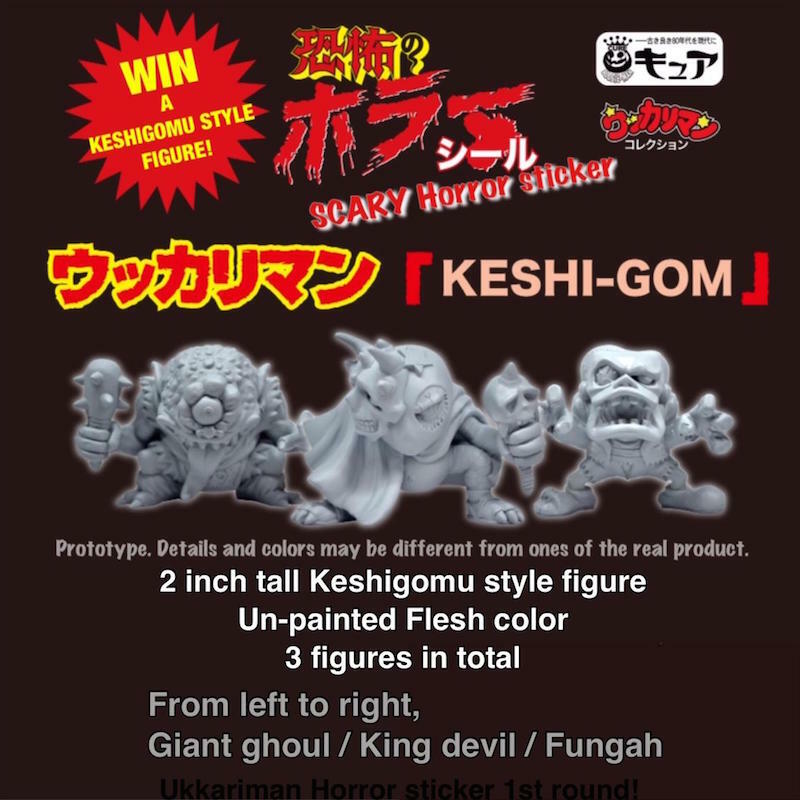 10 tickets will secure one entry into the draw, with the prizes being one of the three flesh-tone rubber figures we featured in our original Ukkari-man post; Giant Ghoul, King Devil and Fungah; as well 3 full sets. 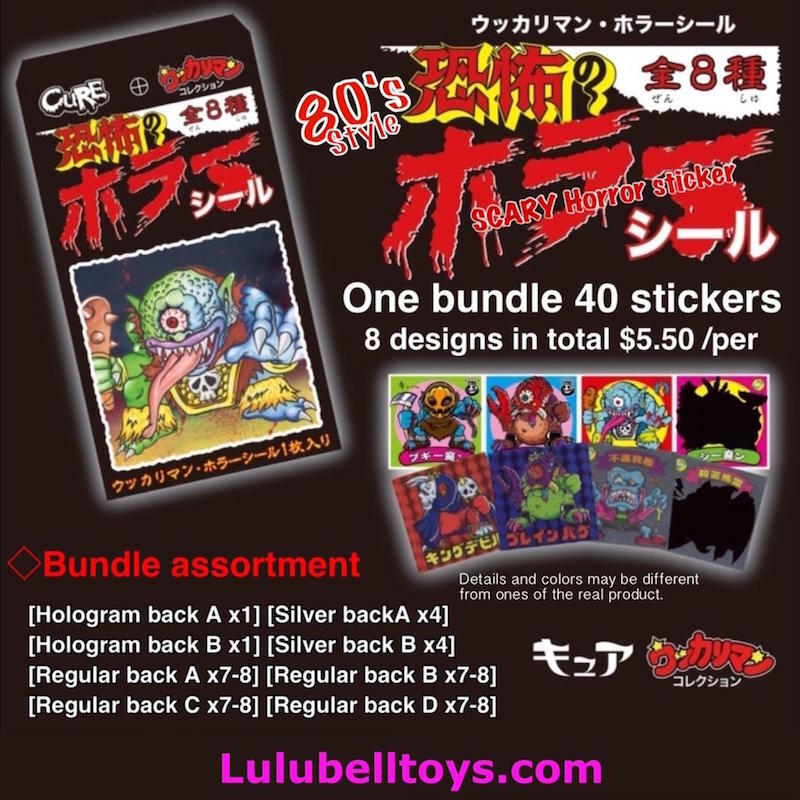 Tickets must be mailed over to Lulubell Toys at [Lulubell Toy Bodega, Cure Lottery, 128 W. Main Street, Mesa, AZ 85201 USA] by January 31st to be included in the draw… Stay tuned for more news on the official Ukkari-man keshi release soon!